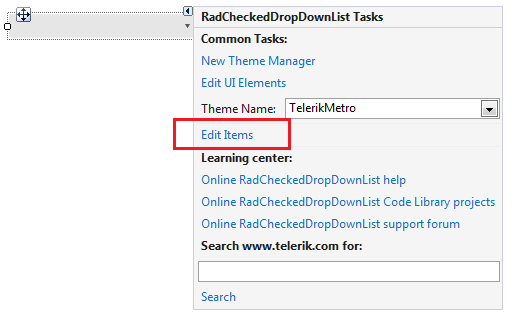 This article demonstrates how to populate RadCheckedDropDownList with data at design time. 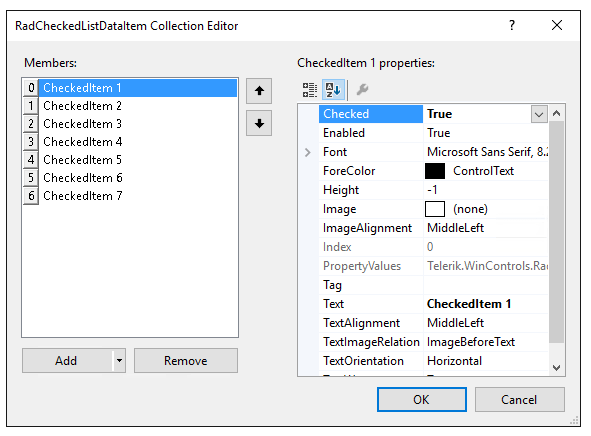 The RadCheckedListDataItem Collection Editor allows you to do that. 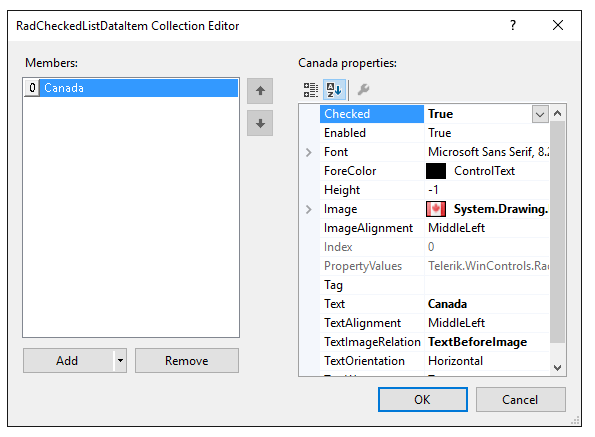 RadCheckedListDataItem – it represents a logical data item which can display specific text, image and checkbox.You can customize its look through the Properties section on the right side of the item in the RadCheckedListDataItem Collection Editor. 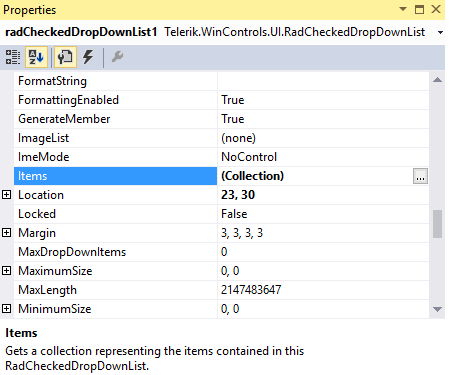 DescriptionTextCheckedListDataItem – similar to the RadCheckedListDataItem. 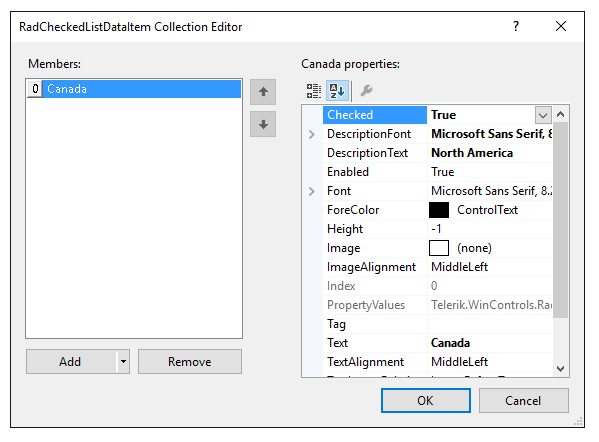 In addition, it displays some description below the item’s text.